Are you thinking about how you really want a new puppy, but don't want to worry about housebreaking. Or maybe a cute little kitty, but there's no good place to put the litter box? And those baby goats that are all over your social media feed doing yoga certainly are cute, but oh wait, they might eat the couch. Wouldn't it be great to have a cute little pet without all of the hassles? 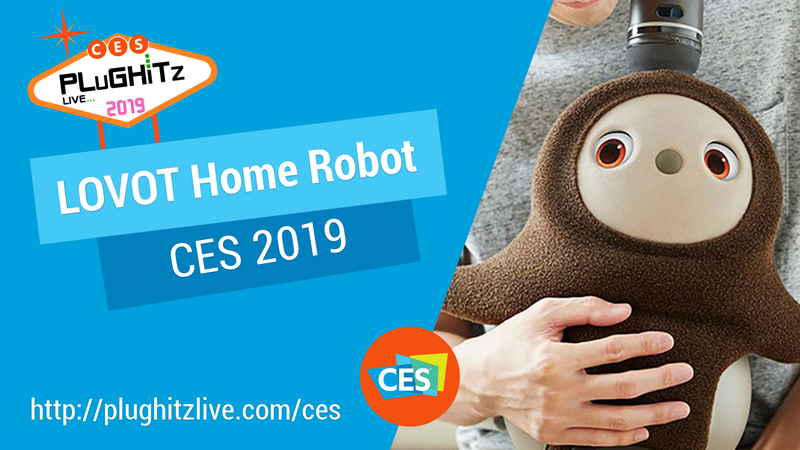 Well, we stumbled upon a new robot while at CES Unveiled 2019. This really wasn't anything unusual for us. In the last several years, it has become quite common to be introduced to various bots that provide everything from home surveillance to learning and game programs for the kids. And to be honest, when we first encountered these new little guys, we actually smiled and walked on by. But after seeing them rolling around the show floor and interacting with the crowds at the booth, we soon realized that there was something a little different with them, and we went back to take a closer look. The company's goal was simple, to create a robot that makes people happy. And as we can attest, when you interact with it via touch, embrace, even simply watching it, you'll find yourself smiling, relaxing, feeling better. This is because they used technology that was not meant to improve convenience or efficiency but to enhance levels of comfort and feelings of love. LOVOT accomplishes this by reacting to your mood, learning, and bonding with you over time and recognizing different individuals for separate interactions. Plus, they are capable of interacting with each other, like pets do, when there is more than one in the household. Also, they are soft and warm and, as the product line develops, will have fun accessories and wardrobes to go with any personality.